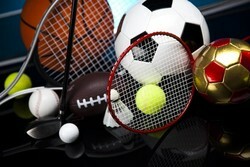 Counterfeit sports equipment is costing legitimate EU manufacturers around €500m every year, according to a new report. Fake items such as footballs, sports helmets, tennis rackets, skis, gym equipment and skateboards - and not including sportswear - account for around 6.5 per cent of all sales in this category through all 28 EU member states, according to the Office for Harmonization in the Internal Market (OHIM). The study also says that the impact is the loss of around 2,800 jobs in this sector throughout the EU, as well as another 5,800 indirect jobs, as manufacturers sell less than they would have done in the absence of counterfeiting and therefore employ fewer people. Every year, an additional €360m is lost across the EU due to the indirect effects of counterfeiting of sports equipment - as manufacturers buy fewer goods and services from suppliers, causing knock-on effects in other areas - while the activity leads to €150m annually in lost government revenue. This includes tax, social contributions and VAT which are not paid by producers and distributors of fakes. OHIM president António Campinos, said: "Every day, millions of people across the EU play and enjoy sport. However, very few of them know about the economic damage caused by counterfeit sports equipment in their own member states, and across the EU as a whole." The report has been published through the European Observatory on Infringements of Intellectual Property Rights, which is publishing a series of reports focusing on the impact counterfeiting has on selected industrial sectors. Previous studies have been carried out on cosmetics and personal care and the clothing and footwear sectors. The earlier reports suggested more than €26bn and up to 363,000 jobs are lost every year due to the manufacture and distribution of fake clothes, shoes and accessories, with nearly €5bn and 50,000 jobs lost in the cosmetics and personal care sector due to counterfeiting. The OHIM notes that in contrast to the previous two reports, the impacts of counterfeiting for sports goods refers only to manufacturing and so does not include wholesale and retail trade, so the top-line figures are not directly comparable.